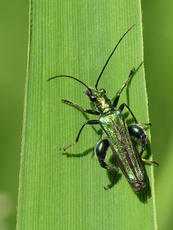 Length 8 to 10mm. 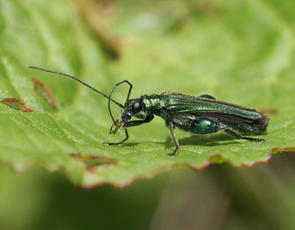 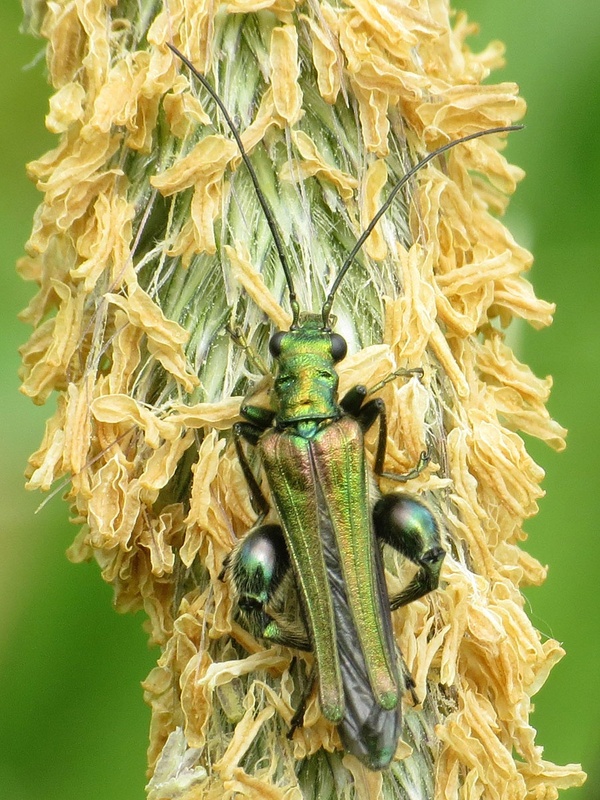 The green elytra (wing covers) are pointed and gape apart. 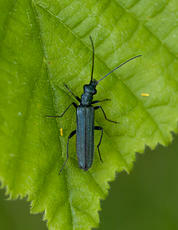 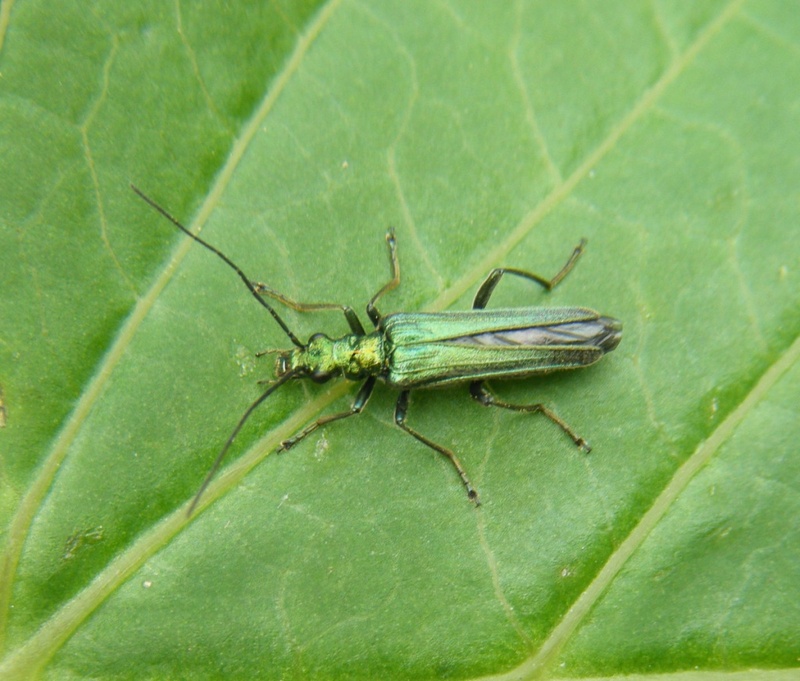 The male and female of this beetle can easily be told apart, as the male has large green bulges on its femora or thighs, while the female does not. 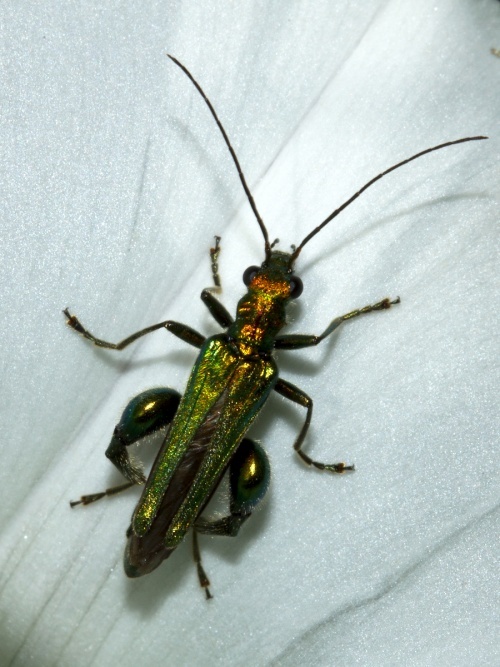 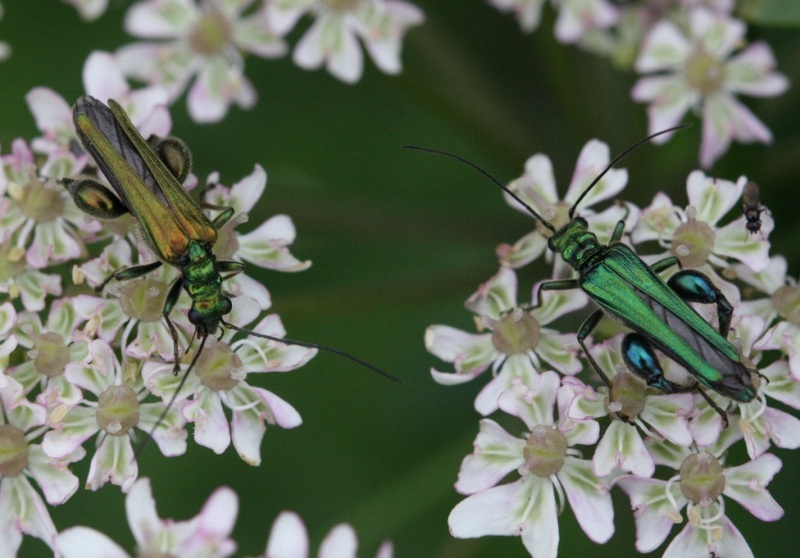 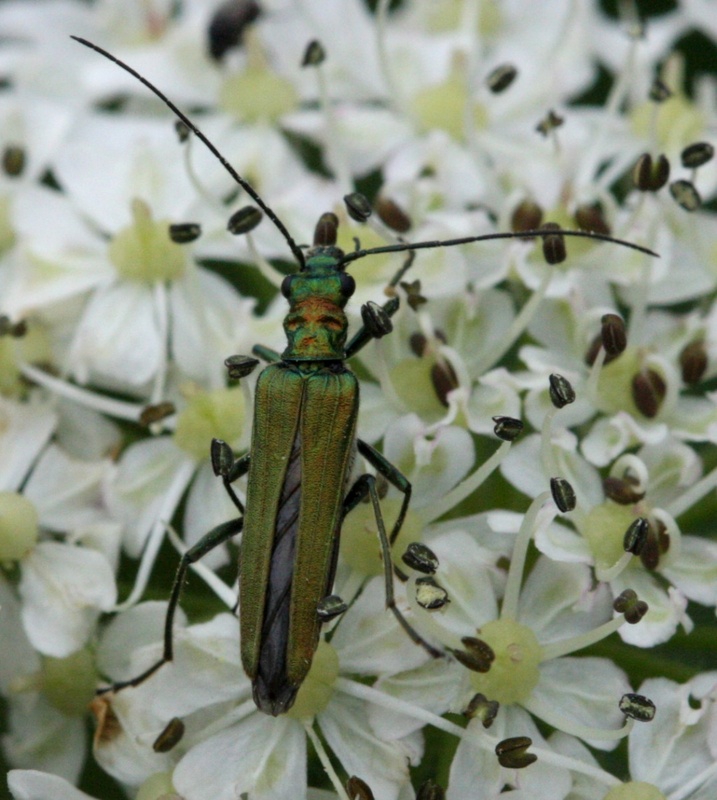 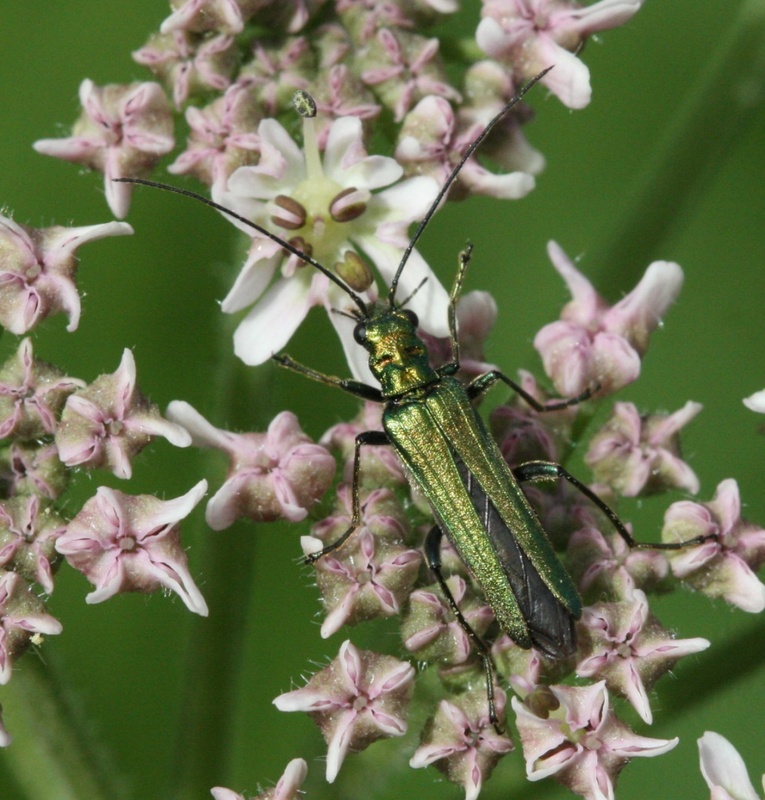 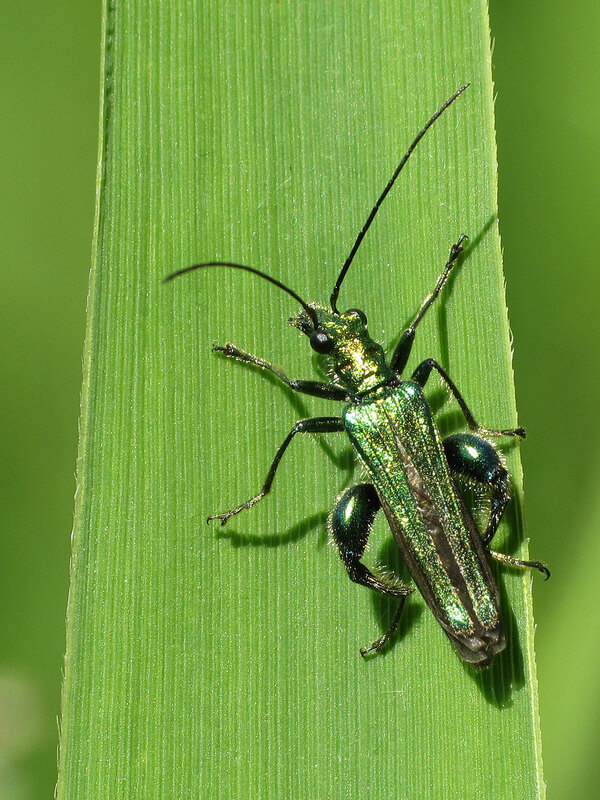 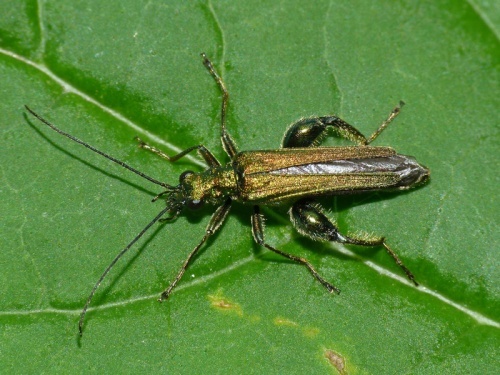 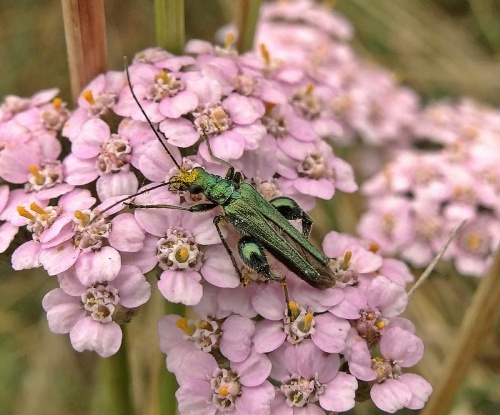 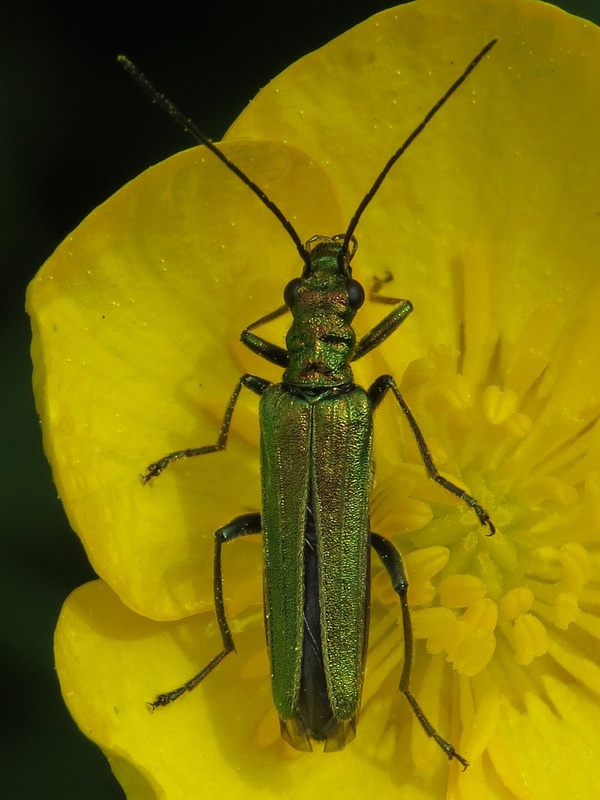 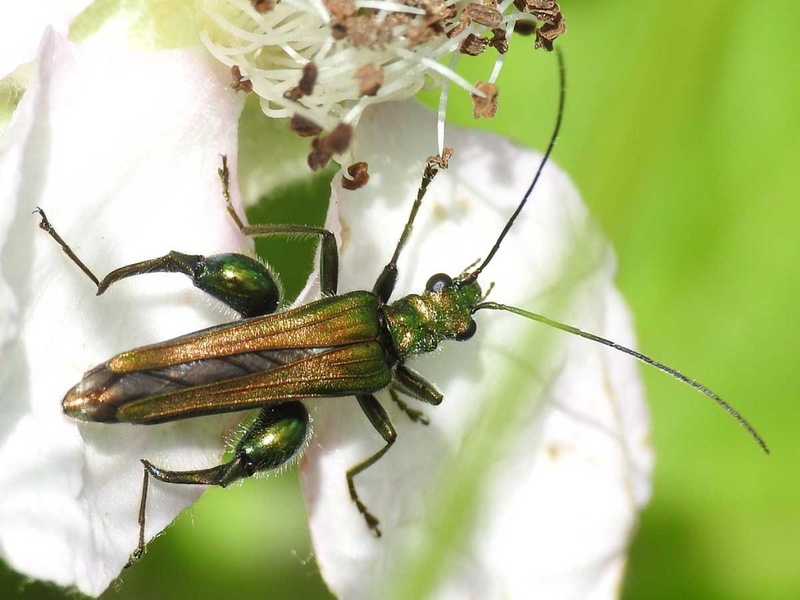 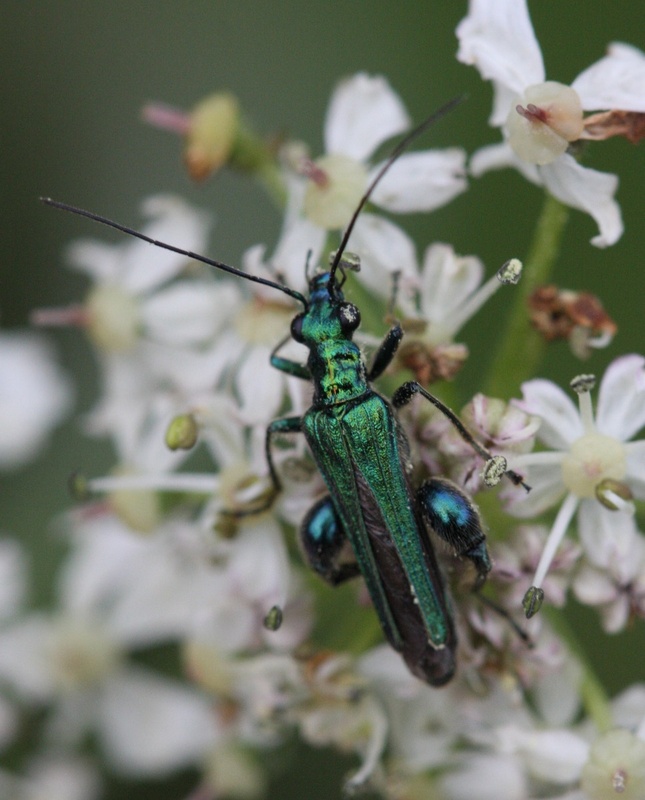 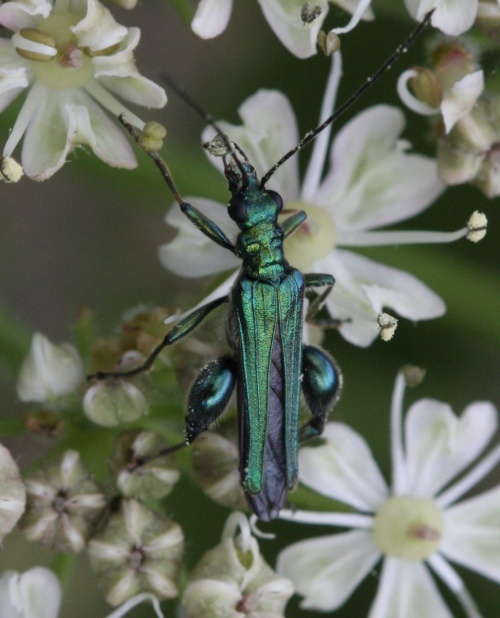 The male is unmistakeable but the female could be confused with other Oedemera species, however its size, gaping wing cases and irredescence distinguish it. 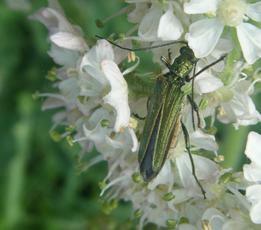 Flower meadows, gardens and waste ground where they visit flowers. 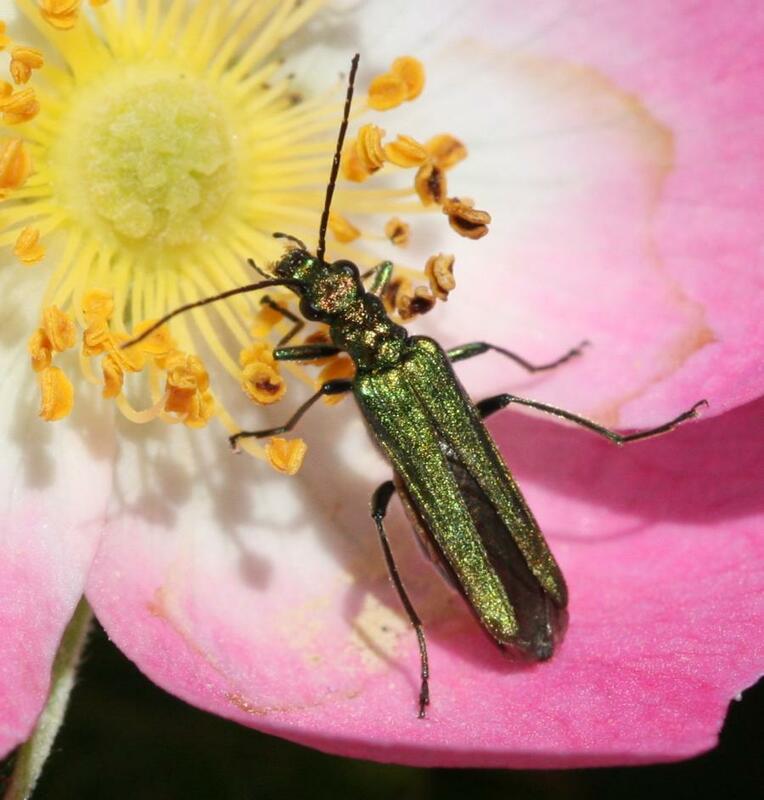 This beetle is a pollen feeder. Widespread from southern England northwards to the Wash and north Wales, but less common further north than that. 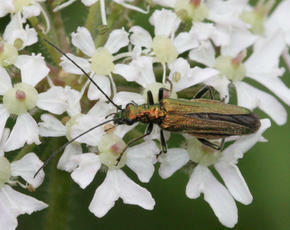 Only reached VC55 around 2008 and already quite common. 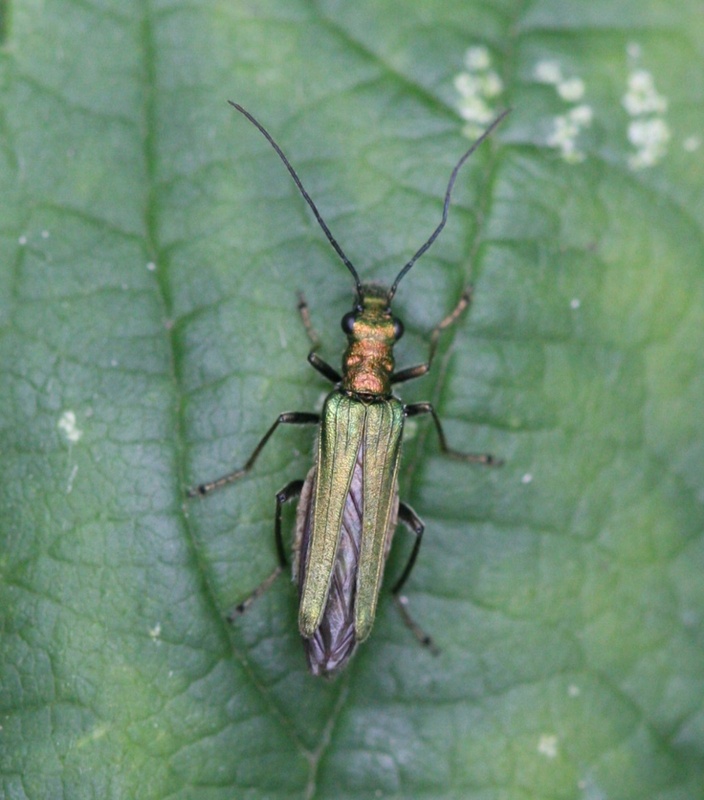 There were a total of 60 VC55 records for this species up to March 2015.